We’ve all had the experience of truly purposeful, authentic learning and know how valuable it is. 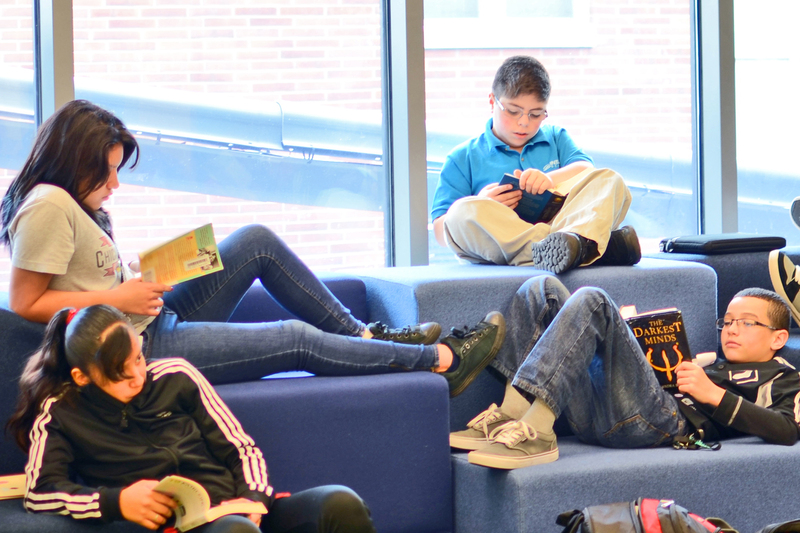 Educators are taking the best of what we know about learning, student support, effective instruction, and interpersonal skill-building to completely reimagine schools so that students experience that kind of purposeful learning all day, every day. 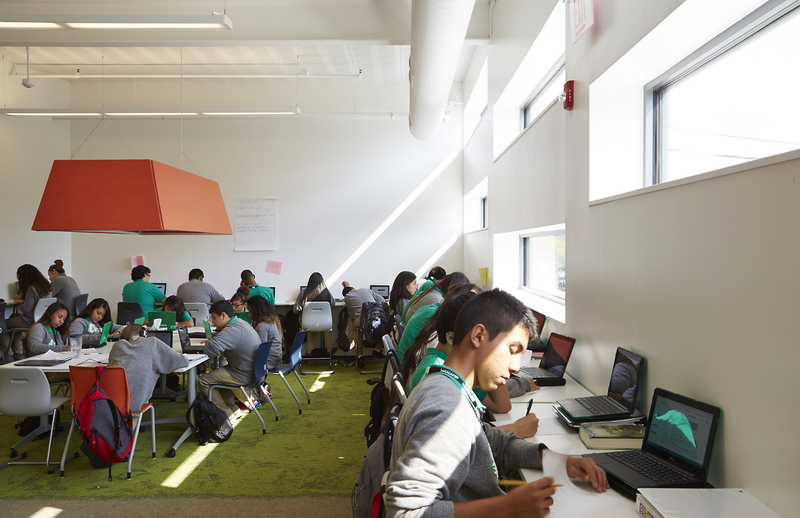 Intrinsic Schools, which opened in Fall 2013, will serve 7-12th grade students in Chicago using a blended school model. To reimagine middle and high school, Intrinsic is combining technology-enabled adaptive learning and expert teaching. Intrinsic cultivates independent, intellectually curious learners who will own their learning and much of their schedule. Student goal-setting is a critical element of the model. Each student has a six-year individualized learning plan that outlines a path to postsecondary success. Students are provided with real-time tools to monitor their own progress along this path. Furthermore, students each lead two parent-teacher conferences per year to discuss their progress. At the start, the 186 students are grouped into two pods of about 90 students. At capacity, an Intrinsic school has 11 pods. Students spend half of the day in a humanities block and the other half in a STEM block. Within each block, students move fluidly between individualized adaptive digital content, multimedia content, small group instruction, seminars, and group and independent project work. Students participate in mixed-ability groups for some activities and at other times receive targeted instruction via on-line content or with peers at the same instructional level. The Intrinsic model requires a complete redesign of the classroom. The physical space of each pod is open and flexible: there are areas for quiet individual work, small group instruction, collaborative work, group projects, and large forums. When not leading direct instruction, teachers work on interdisciplinary teams and float throughout the space. The "coastline" and the "shade"
While students lead most interactions and are at the center of their own learning, master teachers are at the core of the Intrinsic school design. These teachers design units around essential questions and curate online curriculum. As a result, much of the time students spend online is interacting with teacher-created content. Intrinsic creates internal capacity for teacher development, whereby first-year teachers co-teach with a master teacher. Although these newer teachers are responsible for different content areas, they benefit from sharing responsibility for students with a master teacher. Intrinsic works closely with various partners to cultivate talented educators and develop integrated curricular experiences for students. For example, the organization works with local social service agencies to support the student holistically, and with local colleges and universities to emphasize college and career readiness from the start. The CMO is committed to a research and design approach to teaching and learning. Teachers and students regularly pilot, analyze, and evaluate different aspects of the model. In addition to helping refine the model, this process increases student ownership and motivation. With both a lean school staffing model and CMO, Intrinsic is sustainable and scalable, planning to serve 4,500 students across five schools over the next five years. 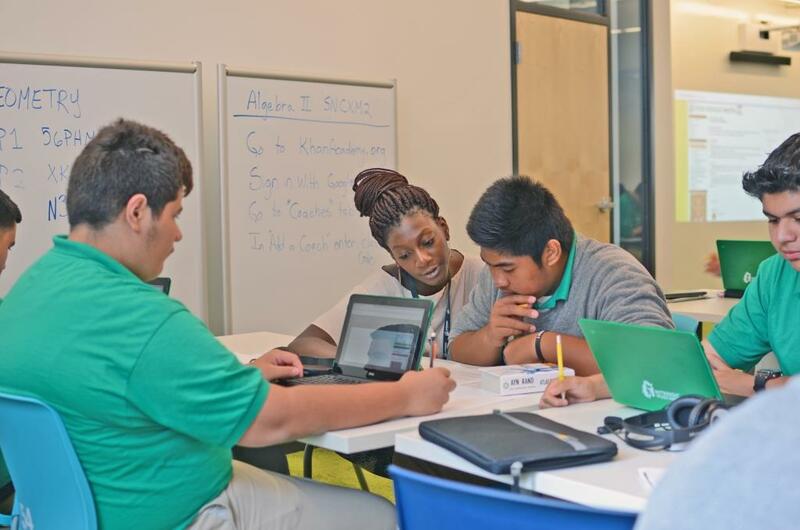 Intrinsic’s goal is to create a replicable model for preparing students for 21st century college success.